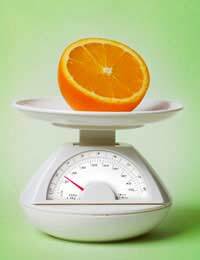 Home > Eating Disorder Types > Orthorexia - a New Eating Disorder? When most people think of eating disorders then conjure up images of skeletal girls who either starve them selves or make themselves vomit; these are typical images of the usual types of eating disorders, but specialists have now discovered that people are suffering from another form of eating disorder and have given it the new term called orthorexia. Orthorexia is a relatively newly diagnosed disorder that is given when the person become obsessive about their eating patterns. Unlike anorexia or bulimia, the person permits themselves to eat but becomes so engrossed with what they are eating that their thoughts become over taken by their diet. They allow themselves only healthy foods and scrutinise the nutritional content of every item that they eat. Calories, vitamins and nutrient become the focal point of the food and anything that is found to contain even just a trace of what is on the ‘not allowed’ list is not to be consumed. While we could probably all benefit from adopting this approach a little more closely, these sufferers grow to be extremely obsessed with their food content and will not allow themselves under any circumstance to deviate from their schedule of permitted food types. Do you examine every detail of what is in the food item? Do you only allow yourself health foods? Can you eat a meal prepared by someone else? Do you observe and comment on the way other people are preparing food? Do you find yourself thinking about nutritional content during the day? Do you worry about eating something that is not necessarily ‘good’ for you? Have you lost a lot of weight recently without consciously following a diet schedule? This disorder can have the same devastating effects as any of the more well known disorders. Relationships, especially within the home, can become severely affected and communication can break down.The person may start to isolate themselves from their peers and become distant as they become increasingly fixated on their dietary schedules. For some their ability to perform job or studies can start to decline as their thoughts become predominantly full of their diet and which foods they are allowed, how they can plan them intro their day, how many times to chew and so on. There are so many factors surrounding these eating disorders that thoughts can become full of them allowing little room for any other thought processes and concentration and motivation can take a back seat. Like any eating disorder the help of a professional is normally required as the issues surrounding the development of the disorder will need addressing as much as the nutritional well being of the person. Your GP will be able to advise you of where to seek specialist help or ring one of the many help lines and speak to someone who is highly trained and familiar with all of the different issues surrounding eating disorders. Although this illness is not as commonly known as other types of eating disorder, it may have the potential to be just as serious to health and is surrounded with similar issues of control and behaviour as other eating disorders and the person will undoubtedly require some professional intervention in order to overcome the problem.